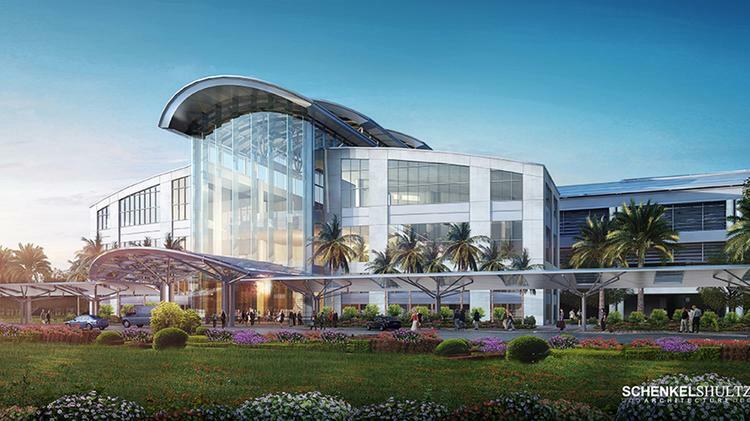 This week the media received a behind-the-scenes look at the $1.1 billion expansion project taking place at Orlando International Airport. This expansion will play a key role in welcoming the airport’s 37 million annual passengers, plus more in years to come. Tourism, a main driver of Central Florida’s economy, will be highly impacted by this expansion. Orlando welcomed 62 million visitors last year, and experts have said that figure is expected to climb again this year. Construction at the airport is concentrated in three spots, with one ready to open this week. The new south terminal automated people mover system, still under construction, is slated to be completed by next summer and bring a new passenger transportation option to the airport. The second project under construction is an intermodal terminal which includes a regional rail hub, parking garage, energy plant, and roads and bridges to accommodate passenger travel. The intermodal terminal is expected to be complete by summer 2017. Set to open sometime this week is the new north cellphone lot with upgraded amenities such as Wi-Fi, outdoor seating, a pet walking area and a built-in TV flight information board.